Intel is actively developing a palm reading technology that they hope will allow users to log into online services more easily. The company believes that biometrics offer an escape from the problems that accompany traditional passwords – having too many complicated passwords for too many different websites. Intel demonstrated a tablet equipped with special software and a biometric sensor at IDF that is able to recognize the veins in a person’s palm. Much like a fingerprint, a person’s vein pattern is unique to that individual but we are told this biometric technology works much better than finger-printer readers found on a number of modern notebooks. During the demo, Intel director of security research Sridhar Iyengar waved his hand in front of the tablet’s sensor. Once the slate recognized him, it was able to communicate his identity to social networks, banks and other accounts he owns. Allowing a notebook, tablet or smartphone to be responsible for indentifying a user would remove that requirement from websites. As such, users would no longer need to manually enter password information to access accounts at various websites. 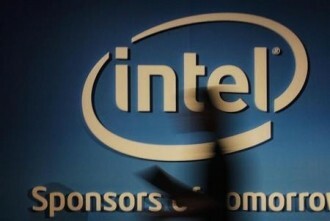 Iyengar said Intel plans to work directly with service providers to take full advantage of the technology. Mobile devices equipped with an accelerometer would be able to detect when a logged in user puts the device down. At that point, the software would log the user off to prevent any unauthorized access. Intel says the technology will require manufacturers to add a biometric sensor to consumer devices as well as the specialized software but it won’t require a new type of chip.